I missed episode 2 of recession heroes so i watched it online on catch up TV xinmsn. This episode is even more interesting and we can learn a few points from this female trader who shared her experience. I have also wrote about episode 1 here. This lady was retrenched during the 2007/08 financial crisis. She was a futures broker in a financial institution for 17 years. She worked mostly from 6pm in the evening to 5am in the morning trading futures market. Why still lose money in trading? After watching this episode, it confirms my view on trading. Firstly, I've heard that most people lose money in trading and it is said that only 5% of the traders in the world can make money consistently. I didn't believe it at first but now i believe in it. Secondly, i've heard that trading is a psychological and emotional game. If you can't control your emotions, you can't be successful in trading. This point is also confirmed. On the other hand, investing is different. Most people can make money through investing. The more knowledge and experience you have in investing, the more successful you can be. The longer time you have in the market, the higher the chance of having better returns. That is why i advocate investing more in my blog. The benefits of investing at a young age is great. You can read more on how to invest here and here. Knowing the difference between investing and trading is important. Know which one you're more suitable for and learn as much as you can. The story ends with this lady becoming a housewife and does some baking at home. She sells some of the cakes and pastry she bakes at home to friends and relatives. She has more time for her family and her son especially. As family income reduced greatly, she had to sacrificed yearly expensive and long overseas trips, dining out in fine restaurants at hotels and reduce spending on buying branded stuff. She is more happy now and lives a more carefree life. You can watch this episode 2 of recession heroes on xinmsn here. I'm back from my holidays and time for me to start writing again. It has been a good trip and Taiwan was really fun. Every country i go to, i'll notice that each has its own culture and national identity. You could recognise who are the resident people there. Apparently, it is most obvious from the way they talk. Taiwan people have their own style and tone of chinese. China people have their own different set of style and tone of chinese. Even Singaporeans have their own style of chinese. One common language but different identity. Just only one week of my holidays and the stock market has declined so much. Today the STI is dropping more than 50 points. Am i worried about my current stocks position? I would say i am not. I could still enjoy my holidays even though i saw the markets declining (well, i still checked the stock market when i'm overseas). This year, i've not invested a lot of my capital in the markets. I still have money to buy in when the opportunity arise. Thus, if it keeps on dropping, i can still accumulate more. Yesterday, the most talked about stock was china minzhong. It dropped 50% and caused trading to halt on the counter itself. What is happening to this stock? There is a report by Glaucus Research accusing china minzhong of financial irregularities. How true is this report? I have no idea and i'm sure every investor will be clueless as well. We'll have to wait for the official explanation by china minzhong themselves. I do not have any shares in china minzhong as of now. Will i risk to accumulate shares of it? If i calculate my risk appetite, it could be worth it to risk a small amount of money to buy into it. This is money that i would be willing to lose. China Minzhong has been a good company thus far so if the report is not true, the stock price will recover quickly. The current weakness in the stock market presents an opportunity to buy good companies at lower prices. Value investors do like the stock market to decline. When is a good time to buy? As an investor, i would say there is no perfect time to buy. Nobody can predict the bottom perfectly. You could learn some technical analysis which is chart reading to determine better entry points. But however, technical analysis has its shortfalls too. Losing money is part of investing. But you have to know why you're losing money. If you don't know why, then most likely you're investing blindly. 1. Why people lose their money during crisis? Preparing and experiencing a disaster. How we can prepare ourselves for a financial crisis? I've not been posting in my blog for the past few days. I'm actually in Taiwan currently. If you've watched the news, Taiwan is preparing for a typhoon that is forecasted to come in today. The name of the typhoon is typhoon trami. I'm preparing for this disaster and experiencing it for the first time. I'll share with you on how we can prepare for a financial crisis too in this post. So read on to find out more. As a Singaporean, we do not have any disasters in our home country. In a sense, we're really fortunate to live in a safe environment. Let me share with you how Taiwan is preparing for this typhoon. The news channel here is reporting on the typhoon and keeping residents updated on the crisis. Many shops are pilling up sand bags. Fishermen are securing their boats to prevent their boats from being blown away by the typhoon. Currently, many states in Taiwan has declared the sea and land typhoon alert. Schools and offices are closed and declared typhoon holiday. Domestic and some international flights are canceled. I'm at central Taiwan now. The strength of the typhoon is strongest at the north of taiwan at taipei. From where I am currently, it has been raining very heavily since morning and winds are very strong. The bad thing for me is i'll be stuck in my hotel for the whole day today. Hopefully tomorrow when the typhoon passes, I can continue travelling. Preparation for any crisis is very important. It is the same with our finances. During a financial crisis, we may lose our jobs, our investment portfolio will suffer loses and those with high debts will be affected the most. How do we prepare ourselves for a financial crisis? Having an emergency fund will prepare you in case you lose your job during a crisis. It helps you to have a piece of mind to continue living your life and provide for your family while you find another job. How much debt is a healthy level? Many financial advisors will recommend you borrow not more than 60% of your monthly income. This includes your housing loan. Debts require you to pay interest also. Generally, debts with high interest rates will increase the impact caused to you. Having insurance will ensure your family have a sum of money in case something happens to you and hospitalisation plans will cover you for your medical bills. We should have ourselves covered by insurance and hospitalisation plans regardless of a financial crisis or not. Seek a professional financial advisor on what you need. A point to note is do not buy too many insurance plans. Some are not really needed. So do research throughly before buying one. 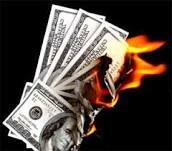 During a crisis, stock market will crash and most of your investments will be negatively impacted. If you invest money you cannot afford to lose, you'll be emotionally unstable during a crisis and will not be able to make sound decisions. That is what happen to many people who over invest. They got their fingers burnt because they were forced to sell their investment during a crisis. Those who have capital to invest more during a crisis will emerge out better off. Learn how to invest wisely before you even start investing. Upgrading our skills or learning more skills will enhance our competitiveness. In case we lose our jobs, we can find another one more easily if we have more skills. Investing in yourself and getting more certifications will definitely help you. Having more than one source of income is definitely even better. We can learn to create passive income. Other sources of income can come from rental from properties, dividends from stocks, part time business, royalties from intellectual properties like books and music albums etc. Learning to create multiple sources of income can increase our income greatly and let us reach financial freedom faster also. During a crisis when you lose your job, you do not have to worry too much too. These are some of the points that can help us in preparing for a financial crisis. I can write so much today because I'm really stuck at the hotel as the winds and rain gets heavier and heavier. I can see the trees swaying agressively and the winds howling strongly even though the windows are tightly closed. I'm experiencing a nationwide crisis. Start preparing today. Preparation starts before a crisis happens. I'll end of with a famous quote: "If you fail to plan, you plan to fail." 1) Why people lose their money during crisis? Many couples cite the rising cost of raising a child as a deterrent from having more children. A family with 5 children tells us how they manage their finances. Why smart people will always buy stuffs at a discount? Most people like discounts and sales. Everytime during the great Singapore sale, there will be long queues outside retail shops and the shopping malls will be packed with people. However, i suspect some of them are the same people who also shop when there is no discount. Just that during discount, they will buy even more! So what do i mean when i say smart people will always buy things on a discount? I'm referring to those people who will only buy things at a discount and i really mean ONLY! No exception. These are the really smart people. Why do i say that? It is because you'll realise that you can always buy a similar stuff at a lower price. Let me give you an example and scenario one of my friend encountered. So i got a female friend, she likes to shop for clothes. She is also smart and will buy only at a discount. 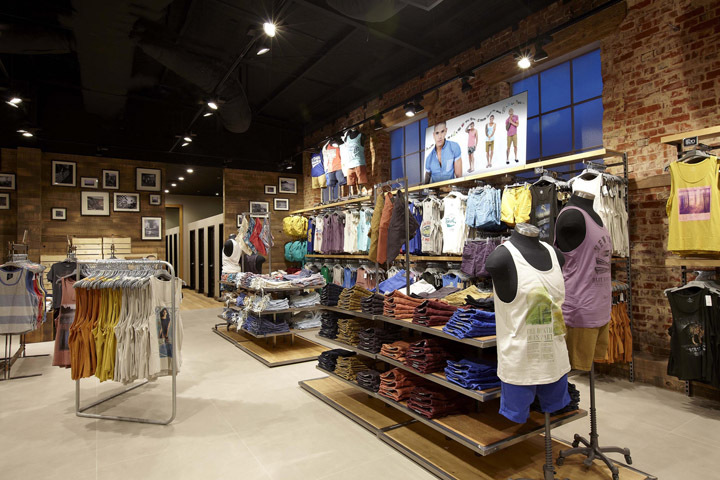 Her favourite shop is Cotton On which sells many nice female apparels. There was one time when she bought a skirt at a 15% discount at one of the Cotton On outlets. She was really happy about it as she got something she liked at a lower price. The next day when she went out, she passed by another cotton on outlet at another shopping centre. She saw the same skirt and out of curiosity, she went to take a look at the price. To her surprise, the skirt was even cheaper with 20% discount. This is a true encounter and i do not know why different outlets sell at different prices. Lucky my friend was smart to buy at a 15% discount which is better than nothing. Imagine if she bought at original price without a discount, she would have felt really sad. A second example is my own personal encounter. If you've followed my blog post, i wrote that i recently bought a two way flight to taiwan at only $200. Scoot had a free return flight sale. I was really happy as i feel that the offer i got was really good. I told many of my friends, relatives and colleagues and they all said this was a really good deal. True enough, even though Scoot had other promotions throughout the next 2 months, none was as good as the offer i got. I was following Scoot's Facebook page and there were many comments on its page on the other promotions. Then i saw people writing to complain on its promotions page. What were the comments? Some people were complaining that they bought at full price without discount. They were really sad about it. Same flight, same date, same time and one ticket was cheaper while another was much more expensive. Now when you book your next flight, remember to take note of this and always book your flights at a discount. Just 2 months ago, i heard my colleagues talk about some deals they found online. The name of the site was AliExpress. It is gaining popularity among online shoppers. If you've not heard of this name before, you might have heard of the site called Alibaba. AliExpress is setup by Alibaba. Now this sounds a bit funny with the name Alibaba. But well, weird name but good deals! Hope you find some good deals too. As a finance blog, i wouldn't encourage readers to spend. But its good to be able to buy stuffs that you need on a discount. Buy if you need it. So after the above 2 examples are you convinced that you should buy only at a discount? Are people who buy only at a discount smart people? You decide for yourself. Have a happy weekend ahead! 1. Travelling to Taiwan for just $250. To know if a company is doing well in that industry, we can look at various metrics and financial ratios to give us a clearer view. This will give us a confirmation that it has a strong economic moat. How to know if a company is generating profits? Financial statements are important in our analysis of a company. It reports on the current health of the company such as how much revenue it is generating, how much money it is spending, how much debt it has, how much cash it has etc. We’ll discuss in depth the above 3 statements in a separate blog post. For now, we’ll just touch on a few simple financial terms to start with. To evaluate a company’s profitability, first we look at free cash flow. This is calculated by using cash flow from operations minus capital expenditures. The amount of cash flow from operations and capital expenditure can be found in the cash flow statement in a company’s financial report. Firms that are able to generate free cash flow essentially have money left over after reinvesting whatever they need to keep the business running. This includes spending on upgrading factories, building up properties, buying or replacing worn out equipments. Thus, free cash flow is whatever extra cash that the company can generate without damaging the core business. Net margins is simply net income as a percentage of sales (revenue). This shows us how much profit the firm can keep after deducting all the necessary expenditures. The net income and sales figures can be found in a company’s income statement. For example, if a firm has $50k in sales or revenue and net profit of $10k, we can say that this firm has a net margin of 20%. Firms that can generate more than 15% net margins are generally alright. Return on Equity (ROE) is net income as a percentage of shareholder’s equity. It measures how much profit per dollar the company is generating from the capital that shareholder’s have invested in. Firms that post a ROE of above 15% consistently are generating returns on shareholder’s money which means they are likely to have an economic moat. What we've just discussed are just some simple ways we can evaluate a company’s profitability. It is important to look at the metrics comparing for a few years. If a company can consistently have good FCF, decent net margins, high ROE and ROA, then it has a stronger economic moat and can keep competitors away for an extended period of time. These are only just a guide for us when picking stocks. There are many other ways to analyse a company and I will discuss it in subsequent blog posts. It is also important to compare companies against other companies in the same industry to see if it is truly ahead of competition. In the next series, I will write on how to interpret the various financial statements. We'll also look at how to know if a company is worth buying at that current price by valuing the true value of the company against its stock price. Stay tune for more! Like this post? Share it with your friends through facebook, email, twitter and google+ by using the share buttons below. I chanced upon this article when one of my friend shared it on Facebook. The title caught my attention. I guess if you're reading now, you were also attracted by the title itself. It goes to show that there are people who do not know how to manage their finances and regret it later in life. This woman was a real estate agent and i guess her income was really high from selling properties during the property boom. She was $100k in debt at just 27 years old. Spent $10,000 a month just on entertainment. I wondered how she manage to spend so much? $10k/mth is a big amount to just be entertained. Splurges on designer clothes and bags, and dining at exclusive restaurants. Invested $30,000 in a dubious scheme which her friend promised a 20% return. Was conned and the friend ran away with the money. Place bets on illegal online football websites, thinking that gambling was the only way to recover her money. The fact is it doesn't matter how much you earn but its how much you manage to save that matters. Most people spend money to impress people. It is always the pride and ego which destroys a person's life. Follow my blog as i uncover more true stories of individuals. Subscribe to receive updates of new posts by email. 3. The curious case of GOLD - A Gold bubble? Recession Heroes Ep 1 - Why people lose their money during crisis? Just watched the first episode of recession heros on channel 5. This first true story is quite inspiration and I would like to summarise the story here. The guy in the story lost all his money during the september 11 stock market crash. Father was a businessman in Malaysia. Business was doing well until his father got cheated by a business partner and lost everything. His family was in debt for a few million dollars. They later moved to Singapore. To supplement his family income, he came out to work at a young age of 14. Work as a cleaner in the morning, gas station pump attendant in the afternoon from 1pm-10pm then wash taxi at night all the way to 1am. He worked this for 1 and a half years. After that, he went to serve National Service in the singapore police force. Read many books on computers and developed an interest in it. Went on to secure a job as a computer trainer and quickly climbed up the corporate ladder to earn $12000 at the age of 25. He got really arrogant and his ego became very big. He said his ego was more than 10 times his head. He would scold and despise his staff and colleagues. Started investing in stocks and turn a $50k portfolio to $500k. He became even more proud and think that he was a genius. During the september 11 terrorist attack on the twin towers, the stock market tumbled and he realised his stocks portfolio was only left with $7000. He had invested all his money into stocks. After that incident, he wanted to build up a business and started a company with another guy. The partnership turned sour and he was caught up in a 3 year long law suit. He lost everything at that point. After all these failures, he finally understood what it means to be humble. He went on to pursue his dream again to own a business and start up a company with his wife called commsgate which provides IT infrastructure for SMEs. His business flourished until now. 1) Do not dabble in stocks with money you cannot afford to lose. Must know the rule of the game. 2) Wealth is a habit. Must build the habit to save and invest regularly for a leriod of time. I do feel that the stock market is a place that will reward the humble and punish the rich. If a person is proud and looks down on others, it is easy for him to lose everything and be destroyed by his own ego. Invest with a humble attitude and learn the rule of the game to succeed. Risk management is important in investing. Hope you're inspired by this story. This is a true story as shown on mediacorp channel 5. Watch the next episode every monday at 9pm. Like my blog? Subscribe to receive updates of new posts by email. 2. The curious case of GOLD - A Gold bubble? Some of you may already know that I travel around the region pretty frequently, having to visit and conduct seminars at my offices in Malaysia, Indonesia, Thailand and Su Zhou(China). I am in the airport almost every other week, so I get to bump into many people who have attended my seminars or have read my books. Recently, someone came upto me on a plane to KL and looked rather shocked. He asked, 'How come a millionaire like you is travelling economy?' My reply was, 'That's why I am a millionaire.' He still looked pretty confused. This, again confirms that greatest lie ever told about wealth(which I wrote about in my latest book 'Secrets of Self Made Millionaires'). Many people have been brainwashed to think that millionaires have to wear Gucci, Hugo Boss, Rolex etc. (I shop at G2000 by the way) and sit on first class in air travel. This is why so many people never become rich because the moment they earn more money, they think that it is only natural that they spend more, putting them back to square one. The truth is that most self-made millionaires(not those lucky who inherited money) are frugal and only spend on what is necessary and of value. That is why they are able to accumulate and multiply their wealth so much faster. Over the last 7 years, I have saved about 80% of my income while today I save only about 60% (because I have my wife, motherin law, 2 maids, 2 kids, etc. to support). Still, it is way above most people who save 10% of their income (if they are lucky). I refuse to buy a first class ticket or to buy a $300 shirt because I think that it is a complete waste of money. However, I happily pay $1,300 to send my 2-year old daughter to Julia Gabriel Speech and Drama without thinking twice. When I joined the YEO(Young Entrepreneur's Organization) a few years back (YEO is an exclusive club open to those who are under 40 and make over $1m a year in their own business) I discovered that those who were self-made, thought like me. Many of them with net worths well over $5m, travelled ecomony class and some even drove Toyota 's and Nissans. I noticed that it was only those who never had to work hard to build their own wealth (there were also a few ministers' and tycoons' sons in the club) who spent like there was no tomorrow. Somehow, when you did not have to build everything from scratch, you do not really value money. This is precisely the reason why a family's wealth (no matter how much) rarely lasts past the third generation. Thank god, my rich dad(oh no, I sound like Kiyosaki) foresaw this terrible possibility and refused to give me a cent to start my business. Then some people ask me, 'What is the point in making so much money if you don't enjoy it?' The thing is that I don't really find happiness in buying branded clothes, jewelry or sitting first class. Even if buying something makes me happy, it is only for a while. It does not last. Material happiness never lasts, it just give you a quick fix. After a while you feel lousy again and have to buy the next thing which you think will make you happy. I always think that if you need material things to make you happy, then you live a pretty sad and unfulfilled life. Instead, what makes ME happy is when I see my children laughing and playing and learning so fast. What makes me happy is when I see my companies and trainers reaching more and more people every year in so many more countries. What makes me really happy is when I read all the emails about how my books and seminars have touched and inspired someone's life. What makes me really happy is reading all your wonderful posts about how this BLOG is inspiring you. This happiness makes me feel really good for a long time, much much more than what a Rolex would do for me. I think the point I want to put across is that happiness must come from doing your life's work(be in teaching, building homes, designing, trading, winning tournaments, etc.and the money that comes is only a by-product.If you hate what you are doing and rely on the money you earn to make you happy by buying stuff, then I think that you are living a life no better than a prostitute. Finally, i'm more free to continue blogging and write up good articles for readers of my blog. Just finished my exams yesterday and looking forward to my Taiwan holiday trip in one weeks time. In the meantime, i'll be starting a series of posts on how to pick stocks. As an economics student, i'll start of with what is familiar to me which is how to analyse a company's economic moat. Many of you may have already heard this term. Read on to find out more. How to know what companies to invest in? This is a question many people will ask. 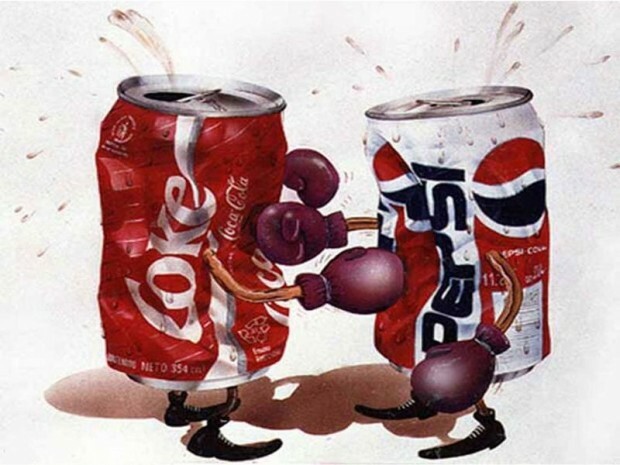 When choosing which companies to buy, we need to know its competitive advantage against other companies. Investopedia defines economic moats as: "The competitive advantage that one company has over other companies in the same industry. This term was coined by renowned investor Warren Buffett." 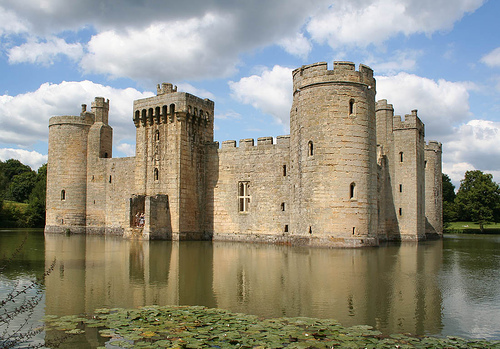 An economic moat is like a company building a fortress. By having a competitive advantage, firms can continue to have profits in the long run. As a shareholder of a company, you'll also want the company to continue generating profits and cash flow. In this way, the share price can continue rising and dividends will also increase with it. From the name, you can roughly know what sort of industry it is. In a monopoly, there is only one firm in that industry and this firm has complete control of the market. It is similar to a familiar board game that we play called monopoly. The objective of the game is to buy up all the properties and gain control of the market. 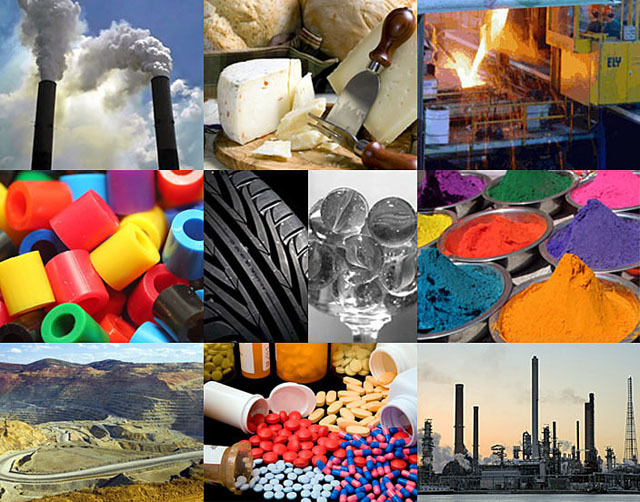 This industry has high barriers to entry through legal restrictions, economies of scale and control of essential resources. In simple terms, it means that if other firms or competitors want to enter this industry, it is almost impossible. Examples of firms in this industries are utilities companies which provides water and electricity. Very seldom do we see listed companies which belongs in a Monopoly. An oligopoly consists of around 3-7 firms that dominate the market. Each firm has a big market share with few competitors. However, the competition among these few firms are intensive and firms need to constantly have a strategy to stay ahead of competition. There is often a leader in the market among the few firms and others act as followers. Examples of firms in this industries are Telcos. In Singapore context, they are namely Singtel, Starhub and M1. From these 3 names, we can roughly guess who is the leader in the market with the biggest market share. There are large number of firms in this industry (30 or more). They offer similar but slightly different products. With so many firms in the market, each firm only has a small market share. Firms differentiate their products through product differentiation by advertising and building their brand name. Examples of firms in this industry are food and beverage companies. In Singapore, we see many different F&B companies. Most of them own several restaurants and fast food chains. An example is Breadtalk which owns a bakery, food court, restaurants etc. It has established its brand over the years and this is a form of economic moat. In a perfect competition, there are large number of buyers and sellers. There is a standardised product. In simple terms, these are markets like foreign exchange market, commodity market etc. Understanding which category the firm belongs to is important in determining the firms future profitability and how long it can hold off competition. There are ways that firms can build sustainable competitive advantage. For firms in the monopolistic competition, this is especially important. A brand is a form of product differentiation. People tend to look for brands that they trust to determine the quality of their products. A strong brand attracts customers and prevents competitors from taking aways their customer. If a firm is able to offer similar products at a lower costs, this creates a competitive advantage for it. Firms that are able to do that creates high barriers of entry and makes it difficult for new firms to enter. Airline companies have been driving down costs by offering budget services. Singapore airlines for example, has a fairly new budget airline Scoot. Their planes are old SQ air buses which are much bigger than other budget airlines. In this way, they can have more passengers on board at a time and the price each passenger pays can be cheaper. Firms which provide services and products such as IT systems can create high switching costs. Especially for banking systems, they are so complicated that banks will not want to risk in changing to other systems. In this case, most likely the firm that provides the service will continue providing it for a long time. An example of a listed company in Singapore is Silverlake Axis. They provided integrated banking solutions to various banks around the world. Firms can lock out competitors by having regulatory exclusivity and patents for their products. Casinos require licenses and in a country, very few licenses are given out. A firm that has this license gain a competitive advantage. Las Vagas Sands, a well known casino brand has been having this competitive advantage for a long time and are still doing well until now. Patents can lead to years of extremely high profits for a firm. Breakthrough medical products have patents to protect them. Pharmaceutical companies with patented products will have almost guaranteed profits for many years. Firms in certain industry will find it easier to make money compared to other industries. In industries where there are many firms, competition will lower market share and in turn lower profits for that firm. This is not good news for shareholders. We need to identify which industry the firm belongs to in order to critically access the firm's profits in the long run. In the next series, i'll discuss on how to evaluate the profitability of a company using various financial ratios. 3. Quantitative Easing - how it affects the economy and the stock market? Saw this advertisement on a new TV series by channel 5 called recession heroes. I think it would be an interesting program to watch. Recession Heroes is a 6-episode docu-drama series featuring real-life stories of six individuals who had been adversely affected by recessions such as the 1997 Asian Financial Crisis, 2001 September 11 Attacks and the 2008 Lehman Brothers Crisis. These individuals had either been made redundant during the recession or had suffered huge losses to their businesses. However, through sheer perseverance, wit and determination, they have managed to overcome their trials to start life anew. Recession Heroes is both inspirational and enlightening as it demonstrates how a never-say-die attitude and support from family and the community at large can help individuals overcome financial setbacks in their lives and learn valuable lessons from their mistakes. The program starts tomorrow 12 August(Monday) 9pm on Channel 5. Travelling to Taiwan for just $250. I've booked my tickets for Taiwan at an even cheaper rate 1 month back. They had a promotion for a free return fare when you book a flight with them. Mine cost just $200/pax for a two way trip. Looking forward to my long awaited trip and a well deserve rest in a few weeks time with my family. Travelling is one of my favourite hobby/interest. Even though saving money is important, i believe we should enjoy once in awhile too. This can be done in a budgeted and cheap way and still you get the enjoyment. I'm planning that my trip will cost less than $1000 for a 8 days trip. Will be doing an update of my trip when i come back. Well, i guess this is part of budgeting and money management while still enjoying life. I feel its good to share it out with readers of my blog. So stay tune!! Follow my blog and receive updates of new post by entering your email at the top right of my blog. I'm glad that more and more people have subscribed to my blog and i will write up more good articles and post for your reading and learning pleasures. Wishing our Muslim friends Selamat Hari Raya and my fellow Singapore friends a happy national day. To the rest, happy long weekends ahead. I've divested partially my first US stock that i bought which is Dryships. "DryShips Inc. is an owner of drybulk carriers and tankers that operate worldwide. Through its majority owned subsidiary, Ocean Rig UDW Inc., DryShips owns and operates 10 offshore ultra deepwater drilling units, comprising of 2 ultra deepwater semisubmersible drilling rigs and 8 ultra deepwater drillships, 3 of which remain to be delivered to Ocean Rig during 2013 and 1 during 2015. DryShips owns a fleet of 42 drybulk carriers (including newbuildings), comprising 10 Capesize, 28 Panamax, 2 Supramax and 2 newbuilding Very Large Ore Carriers (VLOC) with a combined deadweight tonnage of approximately 4.4 million tons, and 10 tankers, comprising 4 Suezmax and 6 Aframax, with a combined deadweight tonnage of over 1.3 million tons"
I bought this stock back in November 2012 at a low of $1.52. It was more of a speculative play when i bought it. Predicting for a recovery in the shipping sector. Have been watching this stock for 1 year beforehand and when it suddenly went down to $1.50, i managed to scoop it up at $1.52. This stock was trading at a high of $120 before it collapsed during the financial crisis in 2008/2009. Scary isn't it? I doubt anyone who bought at the peak could ever recover back their money. Anyway, i divested at $2.03 for a 31% ROI. Got back all my capital plus profits and still left some shares inside. Reason for the divestment is to reduce my risk exposure and still be able to enjoy the ride up if a recovery does happen. Now that my capital is recovered, i do not have to worry any more. The waiting game is not so tough from now onwards. China property prices have skyrocket in the past few years. Developers who want a part of this action build up massive towns with impressive buildings in china hoping to earn some profits. However, it looks like the towns that are built are becoming vacant and now known as ghost towns. Is this the start of a property market crash? I heard it when i was in school back in the 90s. Many of you will remember it! This song writes about friendships and the dreams and worries that people have when they are young. Enjoy the video and have a happy week ahead! I've always liked this REIT as its portfolio of properties are in Singapore and its business is relatively easy to understand. REITs invest in a portfolio of properties and are professionally managed by their team. Income generated from the rental of properties are collected and distributed to shareholders of the REITs. 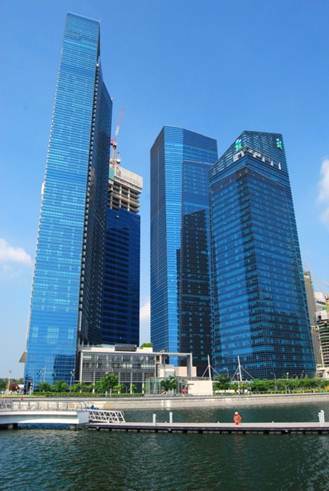 In Singapore, REITs distribute 90% of rental collected to shareholders. 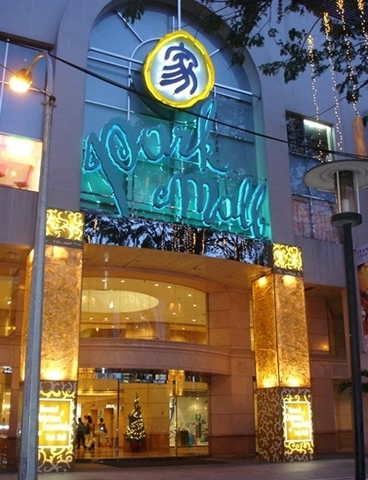 All its properties have very high occupancy rate at more than 97% as at 31 December 2012. Currently, Suntec City is undergoing a major asset enhancement project who aims to transform the whole of suntec city to a new look. The asset enhancement at the Suntec city convention centre has been completed and now there are more shops and eateries there. Suntec City mall is still undergoing renovations and is scheduled to complete in mid 2015. The NAV for the trust is 1.93 at 30/06/13. Thus, it is trading at a discount to NAV of 18% at the current price of $1.60. The REIT is set to benefit from the completion of its asset enhancements which will bring in more revenue for itself. This also means distribution to shareholders is set to increase in the next 2 years. The yield currently is around 5-6% annually. I have bought at much lower prices before in Suntec thus i do not find current prices too attractive. Furthermore, with interest rates set to rise in the next 2 years, a 5% yield will no longer be attractive in the future. Of course, you can still buy at current prices if you're investing for income. The price is not too high and not too low. It can still go lower. If you buy now, make sure you have holding power to hold the stock and also more money to buy at even lower prices. By averaging down, you can always buy more at lower prices and your overall price will be much lower in the long run. I do not encourage averaging down generally for other stocks. REITS have assets and are generally safe thus averaging down is possible. For other types of stocks, you'll have to analyse the business yourself and determine if it will be still strong many years down the road. Forex trading has become very popular in the last couple of years – pretty sure most of you have seen a Forex ad at some point while you were surfing the internet. But what exactly is Forex and how does it work? Forex is short for Foreign Exchange, or in other words, currency trading. It has been around on an inter-bank level for a long time but recent developments in technology and online trading platforms made it possible for every individual to give it a shot. It is the world’s largest financial market with a daily turnover in excess of 3 trillion USD and a very high level of liquidity. It is also open 24/5. This would make it a very attractive market to trade in right? While this might be true, it is important to know how Forex trading works in order to determine if it matches your investor personality. This article will explain some of the main principles that you need to consider. Having a long position is a commonality in all the financial markets. It means you have bought a stock, for example, and you are waiting for its price to appreciate. This is exactly the same in the Forex market. Having a short position, on the other hand, is a feature much more common in Forex trading than in other financial markets. It means that you have sold a currency pair you do not own and are anticipating the price to depreciate. At a certain point you then buy the currency pair back (this is called “covering”) at a lower price (making a profit) or at a higher price (making a loss). This might seem a bit confusing but it is a really simple principle. When you go short the broker basically lends the currency pair to you and when you buy it back, you return it. That’s all there is to it. One of the most important characteristics of Forex trading is leverage. Leverage simply means that you are not required to put up a full amount in order to control a position – you only need a margin amount. To give an example, if leverage is 1:100 (this is the leverage most commonly used in FX trading) you would only need $1000 to control a position worth $100,000. That means you get all the risks and benefits of holding a $100,000 position – if the price rises to $101,000 (1%), you have effectively made a 100% profit on your $1000 trade, assuming your position was long. The important thing to remember here is that leverage is a two sided blade. It amplifies your gains and it also amplifies your losses. If the price dropped to $99,000 (1%) you would lose that $1000 you initiated your trade with. Additionally, if you didn’t have any funds in excess to that $1000 on your trading account, your position would automatically be closed by your broker. You always need to maintain a certain margin of the position value on your trading account (determined by the broker) in order to avoid automatic closing. Another important aspect of Forex trading is the frequency and duration of trades. When someone says they are a long term trader in the stock market, they usually mean they are holding shares for years. When someone is a long term trader in Forex, they hold their position for a couple of weeks at most. The shortest trades in the Forex market can only last milliseconds. Those trades are programmed to have automatic execution and are done tens (or even hundreds) of times per day. This higher frequency of trading makes it more exciting, but it also requires you to invest more time in developing your strategy. If you are the kind of investor who prefers to keep his position open for long periods of time, Forex might not be the optimal choice. Earlier I mentioned that the Forex market was open 24/5. This means you can trade Monday-Friday all day and all night. However, you need to realize that different currency pairs have different liquidity levels at different times. For example, the most liquid currency pair, EUR/USD, will have the most liquidity when US and European markets are open, so it makes sense to trade in that time slot. On the other hand, USD/SGD will see most of the trades executed when Singapore and US markets are open. Like my Facebook page to receive instant market updates and notifications of new articles. 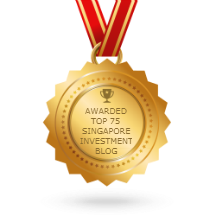 SG Young Investment is dedicated in helping you to achieve financial freedom. 3. Betting on a recovery?